Lorde is the latest addition to the star-studded line-up that will perform at the Christchurch benefit concert for the people that were affected in the terrorist attacks this month. The benefit is called You Are Us (Aroha Nui). Social Development Minister Carmel Sepuloni is rubbishing the opposition's claims that government softness on sanctions is to blame for 11,000 more people receiving the Jobseeker Support benefit. Sepuloni says overall benefit numbers were stable and only 0.1-percent higher than last year. Minister Carmel Sepuloni says the "steep rise" reflects the ongoing challenges for people seeking affordable accommodation. A party for the party of the well-off was the target for these protestors with a point to make. Around 30 people stormed the gates of the National Party's Christmas Party venue, chaining themselves in an attempt to be heard. According to figures released by the Council of Trade Unions today, of those who came off a benefit last year, less than half went into work. The Child Poverty Action Group (CPAG) has called on the Government to rethink and improve its 2015 Budget announcements on benefit changes. Northland, Gisborne, the Bay of Plenty, Waikato and the Manawatu- Whanganui regions are identified as areas that have been severely neglected in The Salvation Army’s “Mixed Fortunes” report. 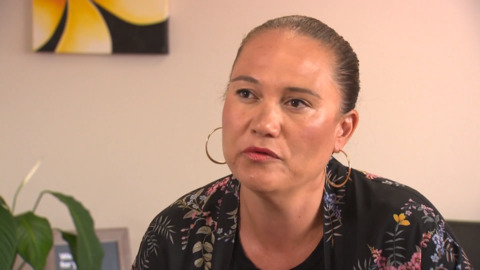 The Māori Party are pushing for an increase in benefit rates, particularly for the most vulnerable such as parents with children.